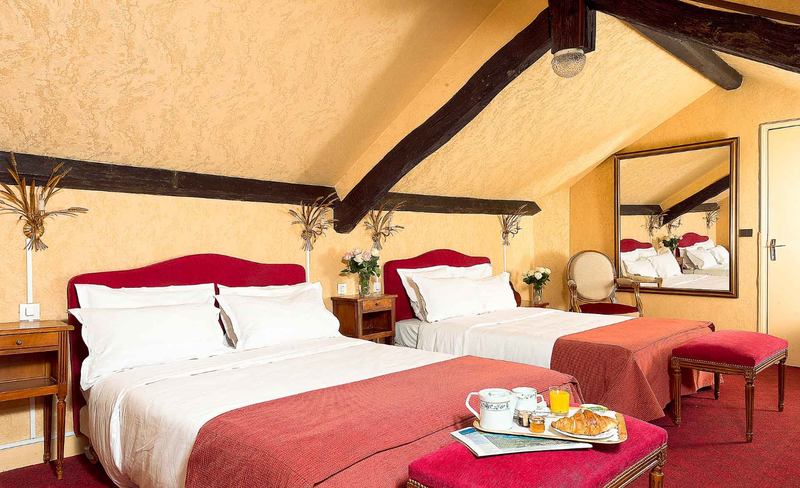 ﻿ Hotel Courcelles Mederic Paris. JIMAT di Agoda.com! Ada soalan mengenai Hotel Courcelles Mederic? 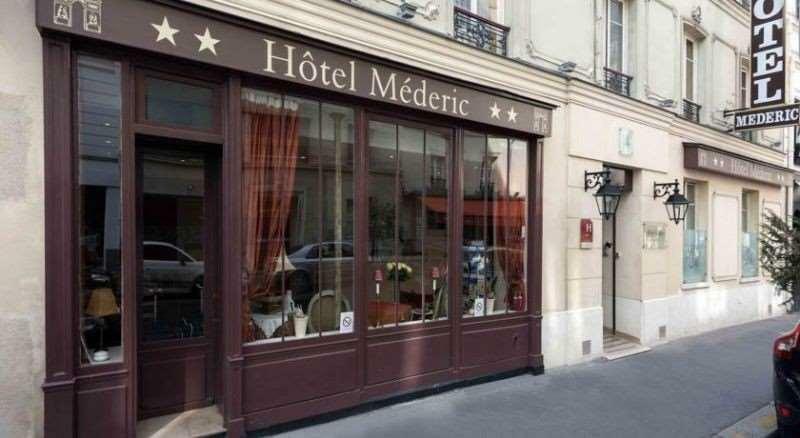 Hotel Mederic, terletak di Ke-17 - Arc de Triomphe - Palais des Congrès, Paris, merupakan satu pilihan popular bagi para pelawat. Dari sini, tetamu boleh menikmati akses mudah kepada semua yang bandar meriah ini boleh tawarkan. Untuk pilihan bersiar-siar dan tempat daya tarikan tempatan, pelancong tidak perlu pergi jauh dari hotel kerana ianya berdekatan dengan Eglise Suedoise, Kedutaan Haiti, Kedutaan Rwanda. Menawarkan tetamu hotel perkhidmatan yang unggul dan pelbagai kemudahan, Hotel Mederic komited untuk memastikan penginapan anda berada di tahap seberapa selesa yang mungkin. Untuk menamakan beberapa kemudahan di hotel ini, terdapat khidmat bilik 24 jam, Wi-Fi percuma semua bilik, fasiliti tetamu kurang upaya, Wi-Fi di tempat awam, tempat letak kereta. Hotel Mederic mengandungi 29 bilik yang dihias indah dan menawarkan televisyen skrin rata, internet wayarles (percuma), bilik larangan merokok, pemanas, meja. Di samping itu, pihak hotel menawarkan aktiviti rekreasi untuk memastikan anda mempunyai perkara untuk dilakukan sepanjang penginapan anda. Nikmati perkhidmatan yang sukar ditandingi dan lokasi benar-benar berprestij di Hotel Mederic. We really enjoyed our time at the Hotel Médéric! The staff were kind, helpful and friendly. The location is excellent for seeing the sights in Paris as we walked to Nearly all of them from the hotel. Only one hiccup I can think of is the $3 E charge for water without acknowledging. Not a big deal. I have used this hotel many times before. It never fails to please. Location is very good. Bus stop is around the corner. Breakfast was included in my booking. It was good also. The room was very clean. I have no complaints on this area. The lady at the reception was very kind to me as well. The elevator is bit small or should I say really small. But it fits me and my two luggages, so it's not much an issue. But note that after lift, I need to take still some stairs going down to reach my room. Still i say not a big issue. Value for money. I would recommend! Thank you for your lovely commentary, We will be happy to welcome you at your next stay in Paris. Contrary to what Agoda states, there is NO PARKING. I chose this hotel because Agoda states there is parking and I had problems. You have to use a credit card at all the parkings spaces above and below ground in Paris and mine was stolen 2 days before! I was annoyed when the hotel told me that it was Agoda's fault! The hotel is being renovated. Our room, although smallish was lovely. 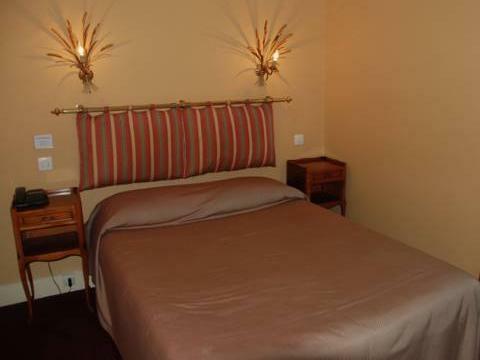 The bed is very comfortable and the shower unit great. Breakfast is served comprising : pot of good coffee, (tea is you wish)croissant, orange juice, jam and butter. Yoghurt is also available. The lift arrives between two floors with split stairway as you exit. Awkward if you have mobility problems or large suitcases. The staff are very pleasant. Definitely a good place to stay. 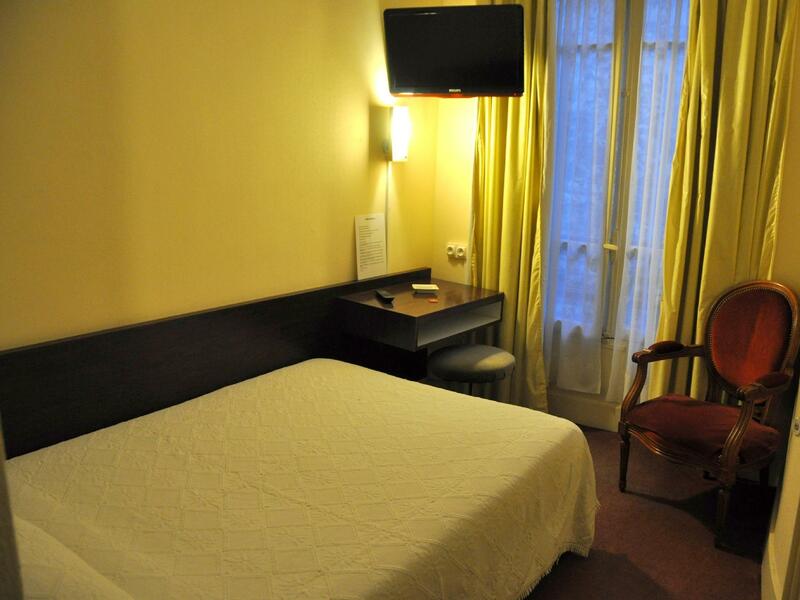 Thank you for your commentary, Our hotel has been renovated and updated. We will be glad to welcome you again. I stayed at Mederic hotel for six nights. The staff were really kind and helpful. Ranee, the Indian woman at the reception was the sweetest and always greeted you with a lovely smile and was very helpful when I came down every day with a list of questions. One day I stayed in until late after coming in late the night before and the reception called to check everything was alright - which was very nice of them! It was a little humid and as there is no air conditioning I asked for a fan - which made things a lot better. The nicest thing is that you can come and go 24/7 - there will always be someone at the reception. The Internet always needs to reconnect which was a bit annoying, but bearable. The cleanliness is okay, and it's very very basic. Clean towels, clean sheets, clean floor, clean bathroom. Oh! The shower is not big but great water pressure and hot water! (Showers are the most mportant in my opinion after a long long day!) The location is great - 2 minutes from the Metro, an ATM close by, places to eat out close by, a Pharmacy... and there is even a small bakery right across the street of the Metro I reccommend visiting. For someone who travelled alone and on a relatively small budget, it was well worth the money and by the end of my stay it felt pleasantly homey to come and go. Thank you for your lovely commentary, It will be a pleasure to welcome again. 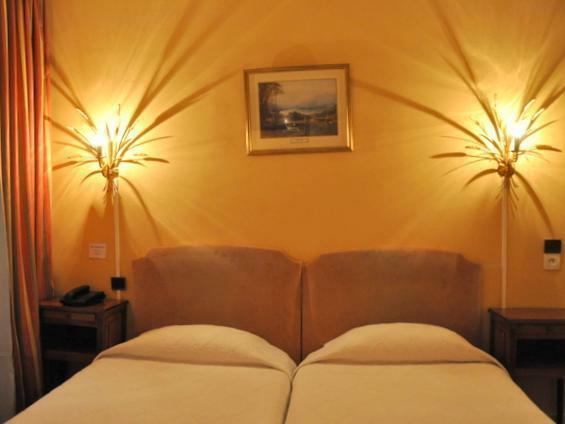 Our hotel has been renovated, I am sure you will enjoy even more your stay with us. The staff was nice and available at the reception 24/7. But the building is quite old -- the floor is not horizontally flat, and the wallpapers are worn out. Thank you for your commentary, our hotel has been renovated, you can come visit us any time you want, it will be with pleasure. Love the staffs there, excellent location with many restaurant nearby, we just need to walk like 15-20 mins to reach the "Place Charles de Gaulle" which is nice after meal. The area is safety. Tip before you book: The room we stay has no air-con but it's fine to open the windows if at night. Some people might be disappointed with the small room but we are fine with this because the rate is really good. I go home late everyday and what we need is just a shower and a bed! Very helpful staffs, nice and friendly! Sure we will stay again next time!!! Thank you for your commentary, And it is suitable for families if you take the suite which is made for 4 persons. location is good, surrounding has many restaurant, the neighborhood seems to be safe. 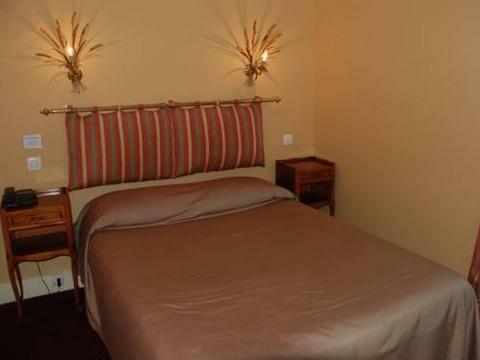 It is just 2-3 min walk from metro, which is 2 stops away from the metro below Arc de Triompe. As reviewed by others, during late check in, the front counter staff will sell a small bottle of expensive drinking water. For me, I arrived late (0020 am) and he insist not to let me go out look for food or drink. the in room wifi always request for re-connection verification which is annoying. Fourth floor suite was very comfortable and quiet. It was really good, it's not expensive hotel, with good location. Very clean and comfortable. Just one minus: I arrived really late, and I didn't buy any bottle of water, the receptionist (man looks from India or Pakistan) sold me one bottle per 4 euro. It's crazy expensive! 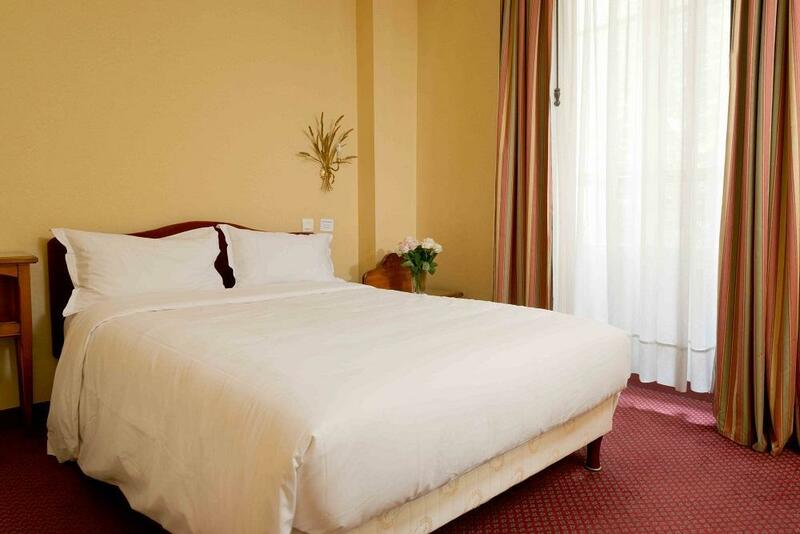 The staff was the best part of this hotel, it was centrally located around major landmarks, and there are plenty of excellent restaurants in walking distance. We had a good time at the hotel. I really can't say enough about the staff. I can't remember his name, but he spoke excellent English and showed us our destinations on a map each day. The room was fairly small, but comfortable for two. The bathroom was nice and tiny, too, but that wasn't a bother. Beds were made for us each day and everything else was great. Would recommend this to travelers of all sorts, for long or short stays.